Fangirls, a large part of psychology classes are learning about past experiments along with their strengths and weaknesses. One experiment that did not go as planned, was the Stanford Prison Experiment. An experiment on the abuse of power, the Stanford Prison Experiment showed how quickly people could go from street clothes to abusive guards. A movie was made, last year, bringing this 1971 experiment back into the limelight. The movie is powerful and stressful. It really emphasizes the dangers of power, and how quickly people can become subject to it. It’s amazing that people became so prisoners so quickly and easily, and that others became guards without qualms. And it’s more terrifying because it actually happened. This movie was important for me to stick through, because it follows the six days that the prison experiment was in effect, and the way the “prisoners” acted. Yes, the movie is fiction, but it is based on fact. I remember seeing many of the clips from my psychology classes reenacted by actors that I’m mildly familiar with. Thought the Stanford Prison Experiment is a good movie, it’s kind of terrifying. People are put into situations that they normally would not be in, nor are they used to. Their reactions are stressful to watch, and it is definitely a bit of a psychological thriller. If you have interest in psychology, I highly recommend it. And even if you aren’t, it’s a phenomenal movie. It is definitely something that can trigger anxiety, though. 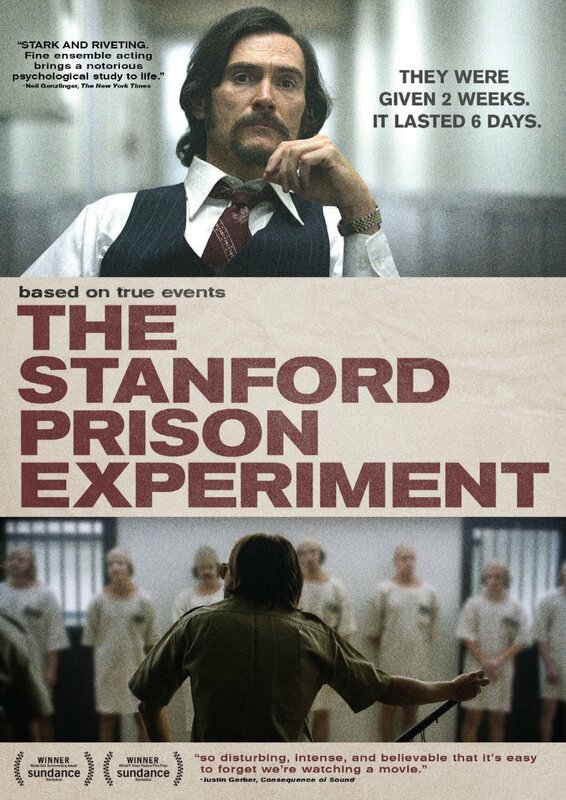 So if you can stomach it, check out the Stanford Prison Experiment.